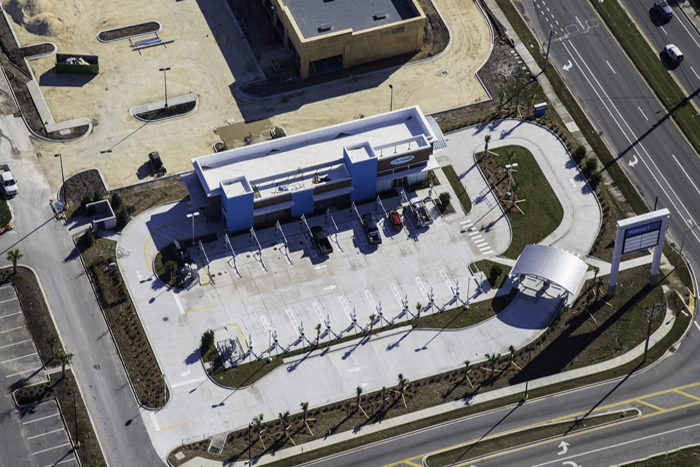 Our team recently completed the first stand-alone Gate Express Carwash facility in Jacksonville, FL. 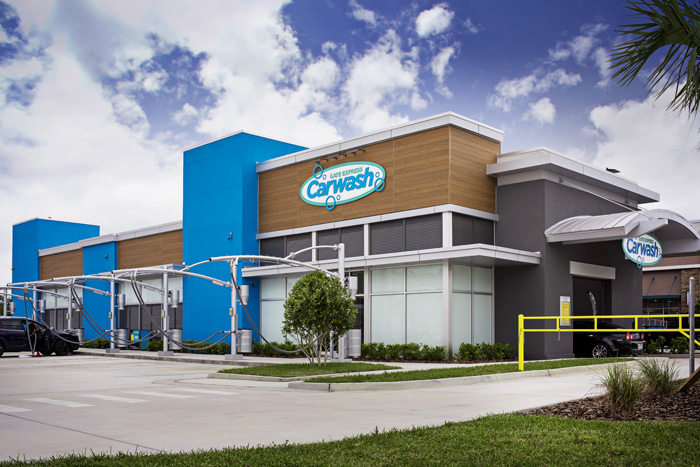 Located just off Interstate 95 and Collins Road, this 4,142 square foot building is the new prototype for over 20 fully automated carwash facilities that will be built throughout the Jacksonville area. 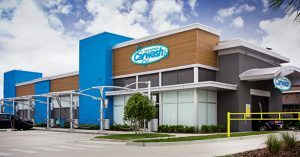 Built on 1.6 acres, this state-of-the-art carwash has a 125-foot tunnel that can handle up to 5 vehicles simultaneously in a single file line. The building was constructed of concrete block with precast hollow core walls, exterior aluminum and wood composite panels, aluminum storefront, standing seam metal roof, metal stud framing, acoustical ceiling tile, and all associated electrical, plumbing, mechanical, and carwash equipment. Gate Petroleum formed Gate Express with the intent of “providing an affordable, top-quality wash in less than four minutes”. The express operation is a wash only and does not include interior or exterior detailing, however there are lots of wash options to choose from including a presoak, foam cleaner, jet dry, rim and tire shine, and hot wax. Each facility will have vacuums available for customers free of charge. Another feature for Gate Express Carwash is the Individual and Daily Wash Fast Pass options. These packages offer many types of services that range in pricing from $5 a day to $30 per month. For more information, please contact Josh Dixon at joshdixon@scherernfl.com or 904.288.6060. Scherer Construction is an experienced and quality-driven design/build, construction management, and general contracting firm that endeavors to lead the industry by following a core set of principles rooted in our absolute commitment to customer satisfaction. Our mission is to build our clients’ visions and exceed their expectations. Our commitment to deliver quality, efficient and turnkey construction services to our customers is the driving force in our company. Because we all share this legacy of exceeding expectations, it is ingrained in the senior staff and employees of all Scherer Construction offices. 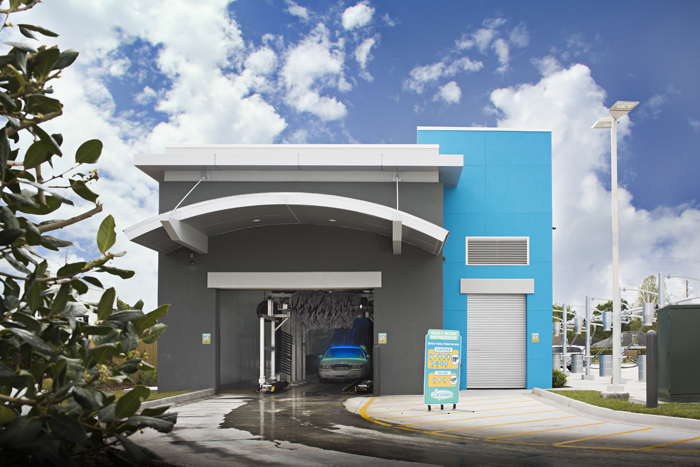 Gate Express Carwash provides a state of the art technology, free standing express tunnel carwash that is ecofriendly and has many additional features. To look for upcoming locations or for more information, go to their website at www.gateexpresscarwash.com.